LG’s foray into new verticals consists of more than just its first smartwatch — the G Watch, which was announced last week — after the Korean firm unveiled its answer to the Philips Hue, its less-than-excitingly named ‘Smart Bulb’. Android Central reports that the bulb will last for a decade if used for five hours per day, but more interestingly it comes with compatible iOS and Android apps and supports Bluetooth. The apps allow users to control a range of settings, and include a security mode — which uses a lighting sequence to mimic someone being at home — and a play mode that responds to music. The bulb will even blink as a reminder when you get a call, though this is Android-only feature at first. 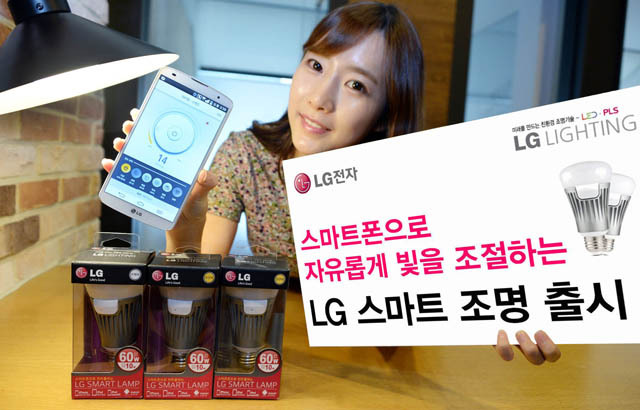 It’s not clear whether LG’s Smart Bulb will make it out of Korea, where it will retail for 35,000 won (around $32) per unit.